Statisticians Mirko Jalava (FIN) and A. Lennart Julin (SWE) continue their ‘End of Season’ event category reviews, which cover all Athletics disciplines, highlighting the best performances which have taken place across our sport in 2012, with LONG DISTANCE (including the Steeplechase). 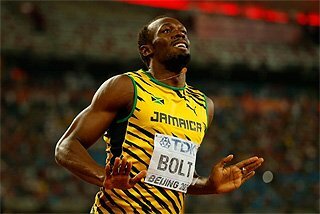 The 29-year-old had come so close 12 months before at the 2011 World Championships, losing the 10,000m so narrowly, and everything he did after that was aimed at trying to take two gold medals in front of a home audience. When he did the double, the 5000m coming on the last night of athletics in the Olympic Stadium, the crowd metaphorically went through the roof. In both events, Farah knew he faced tough competition from Ethiopia and Kenya, but everything he did during the season was carefully planned and he deliberately raced very sparingly. The first sign of things to come by Farah was a fast 1500m win in Eagle Rock, California, when he clocked 3:34.66 season’s best followed barely an hour later by a 5000m win in 13:12.87. He followed this Nurmi-like performance with three impressive 5000m wins. A season’s best of 12:56.98 to win at the Samsung Diamond League in Eugene was followed by his second straight European 5000m title in Helsinki, coming home in front after a tactical race in 13:29.91, before wrapping up his Olympic preparations with 13:06.04 in London Diamond League meeting in July, his last race before the Olympics. After expanding no more energy than necessary in his Olympic 5000m heat, which came four days after his 10000m win, Farah had three days to rest and events in the final also played into his hand. With his rivals unwilling to crank up the pace, Farah got what he wanted with a slow race. His time of 13:41.66 was the slowest winning run at the Olympics since 1968 with his closest competition coming from Ethiopia’s 23-year-old Dejen Gebremeskel, who took the silver medal in 13:41.98. The young Ethiopian is one of those athletes who have made a quick and successful transition from a talented junior to being a major threat as a senior. He won the 5000m bronze at the 2008 IAAF World Junior Championships and only needed three years before he won his first senior medal, when he finished third in the Daegu 5000m last summer. If Farah is the man of the moment in this event, then the future also looks bright too for Gebremeskel. He was fastest in the world this year with the 12:46.81 personal best he clocked when winning at the Paris Diamond League meeting in July. Farah, partly because of where and when he won his Olympic title, put every other distance runner in the shade this summer but there was a lot more going to the event than just one man. Ethiopia is still a production line for talent with the 18-year-old Hagos Gebrhiwet finishing second behind Gebremeskel in Paris, the fastest race of the season, where he ran a World junior record of 12:47.53 to erase Eliud Kipchoge’s nine-year-old mark of 12:52.61. Another junior, Kenya’s Isiah Koech, became the second fastest junior in history when finishing third in the same race in the French capital in 12:48.64, which was also well below Kipchoge’s former mark and so Koech had the partial compensation of setting a national junior record. Kenya is the top country in this event with 36 athletes in the world top 100 list while Ethiopia is second with 14 and United States continues to show resurgence after being in the distance running doldrums a decade ago with third place having nine men in the list. In what has now become the annual norm, there were few major aces on the calendar so some athletes just waited for the Olympic race while others only raced once before London. The home favourite Mo Farah didn’t compete at all over 25 laps of the track before the Olympics at this distance, although a good number of his likely challengers did. Ethiopians impressed in the early season race at the IAAF World Challenge meeting in Hengelo, The Netherlands, in May with Tariku Bekele winning in 27:11.70. Wilson Kiprop then took over as the world leaders at the Samsung Diamond League meeting in Eugene, which unusually staged the Kenyan Olympic Trial race, winning in 27:01.98. One big question this summer was whether 30-year-old Kenenisa Bekele would make the Ethiopian Olympic team. The 2004 and 2008 Olympic champion had one chance to show his form when running in a special race at the British Olympic Trials in Birmingham but he did so in style, winning in 27:02.59. In the end, as usual, times meant nothing going into a major championship and in London, just a he would do in the 5000m final, Farah got what he wanted with an extremely slow race that left everything to a final sprint. A halfway split of 14:05.79 was perfect for the Briton and the slow pace also meant that it was not just the Ethiopians and Kenyans against Farah, but that there wereothers in the mix. Galen Rupp is the American record holder in this event, having run 26:48.00 in Brussels last year, but it was still a surprise that the 26-year-old would be the one able to challenge his training partner Farah for the Olympic gold medal. Rupp finished in 27:30.90, just under half-a-second behind the British winner, for his first major championship medal, with Farah finishing in 27:30.42 for the first of his two gold medals in London, the slowest winning time in this event since Los Angeles 1984. For a while it even looked like Kenenisa Bekele could make it three-out-of-three, following his wins in Athens and Beijing, but he faded to fourth place at the finish. However, upholding family honour, it was his younger brother Tariku who was the fresher of the siblings. He too did not have the speed or the strength on the final lap of Farah and Rupp but won his first outdoor major medal when clocking 27:31.43 for third place. The fastest 10,000m of the year was still to come and that was at the Samsung Diamond League final in Brussels on 7 September. Kenya’s Emmanuel Bett, who finished fourth in Eugene and failed to not make the Olympic team, won in a 2012 world- leading 26:51.16. Kenyans filled the first three places in Brussels, and consequently occupied the top three places on the 2012 world list. Vincent Chepkok was second in 26:51.68 in his first 10,000m race since 2006 while 2012 African 10,000m champion Kenneth Kipkemoi went under 27 minutes for the first time with 26:52.65 for third place. Kenya is the best country in this event, as well as the 5000m, with 37 athletes in the world top 100 while Ethiopia has 15 for second place and United States is third with 14 men in the list. Once again this was a year when Kenyans dominated on the stopwatch and at the major championship. Paul Kipsiele Koech showed great early season form when he ran 7:56.58 at the Samsung Diamond League meeting in Doha in mid-May, when he was followed home by his compatriot Richard Mateelong in 7:56.81. Koech then ran the quickest time of the year when he clocked 7:54.31 at the Samsung Diamond League meeting in Rome on 31 May, the third fastest time ever. The Doha and Rome races were to be the only ones to feature sub-8:00 performances this summer. 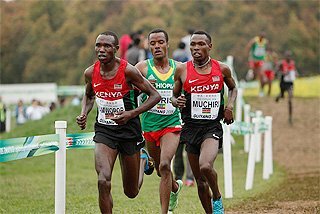 In such form, Koech might have been expected to make his second Olympic team, after getting a bronze medal in 2004, but he has historically had trouble getting it right at the Kenyan Trials, which are always held at altitude and so it proved again. He was only able to finish seventh in Nairobi just three weeks after his stunning run in the Italian capital while Mateelong finished fifth and also missed out on a trip to London. 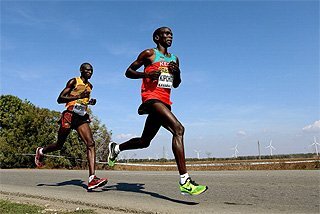 The first three men home there, who secured Olympic selection were 2008 Olympic champion Brimin Kipruto, two-time World champion Ezekiel Kemboi and former IAAF World Youth Championships gold medallist Abel Mutai, the latter going on to win the African title less than a week later. Koech got some sort of revenge when he returned immediately to Europe and won at the Paris Diamond League meeting in 8:00.57, with Kipruto and Mutai finishing immediately behind him, but it still didn’t convince the Kenyan selectors to change their minds. However, they didn’t need to. Even if Kenya couldn’t repeat their 1992 and 2004 feats when they achieved a clean sweep of the medals, gold and bronze at the Olympics was not a bad return. Kemboi, the World Championships winner in 2009 and 2011 and three-times a silver medallist as well, again timed his peak to perfection. After two slow opening kilometres, the pace gradually would up with Ethiopia’s Roba Gari leading at the bell. However, Kemboi hit the front with 250m to go and was never headed before crossing the line in 8:18.56. In fact, was so far clear in the final metres that he was able to relax and meandered over to the outside of the track, finishing in lane eight! 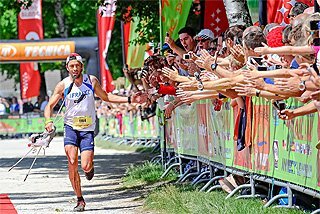 France’s Mahiedine Mekhissi-Benabbad showed that just occasionally someone from the rest of the world can break up the Kenyan monopoly of this event and finished second, just as he did in Beijing four years ago, while Mutai was third. Sadly, the 2008 champion Kipruto fell on the fifth lap and had to settle for fifth place but he went on to win at the Samsung Diamond League final in Brussels, clocking 8:03.11. However, Koech’s consistency across the summer won him the Diamond Race and a cheque for $40,000. Another Kenyan to impress was the 17-year-old Conseslus Kipruto, who reduced the championship record at the IAAF World Junior Championships by almost eight seconds to 8:06.10 before improving to 8:03.49 when winning a few weeks later in Monaco. He also went on to finish second in Brussels behind his older namesake, just fractionally outside his best. This year will not go down in the history of this event as particularly memorable. It was actually a rather uneventful year, in terms of times, as the world-leading mark was the slowest since 1999. Perhaps the Kenyan and Ethiopian runners were completely focused on the Olympics while the rest of the world seemed to have surrendered the event in advance! Of the top 18 in the 2012 world list, nine are Kenyans and there are eight Ethiopians. The top of the list is dominated by one single race at the Rome Diamond League on 31 May, which provided the top four marks in 2012 and three more in the top 10. It was won by Kenya’s 2011 World champion Vivian Cheruiyot in 14:35.62, three-hundredths ahead of her regular Ethiopian adversary Meseret Defar. 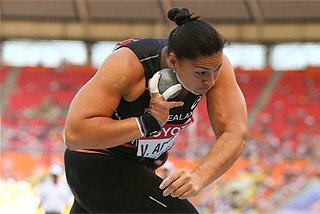 However, the latter would get her revenge a couple of months later at the London 2012 Olympic Games. At the Olympics, the final was a rather pedestrian affair most of the way, culminated in a furious four-way battle for the line which involved Cheruiyot and Defar and also their compatriots: Kenya’s Sally Kipyego and Ethiopia’s 2008 champion Tirunesh Dibaba, who had won the 10,000m a week earlier. After a sub-2:40 final kilometre - 13:20 pace! - Defar prevailed ahead of Cheruiyot and Dibaba. At the IAAF World Junior Championships the previous month, the rest of the world also watched on as Kenya and Ethiopia had an internal East African battle for the medals. Just like in the Olympics, Ethiopia came out on top as Buze Diriba and Ruti Aga fought for the gold, with Diriba winning by just 0.01. The 5000m Olympic Games final provided the following finishing sequence: ETH-KEN-ETH-KEN-ETH-KEN for the top six positions. The 10,000m, held a week earlier, provided a foretaste of what was to happen in the shorter race when the country codes looked like this for the top six: ETH-KEN-KEN-ETH-ETH-BRN (ex-ETH), with the third Kenyan runner failing to finish. This outcome was a big blow for Kenya who had uniquely occupied the top four places at the World Championships 12 months earlier. 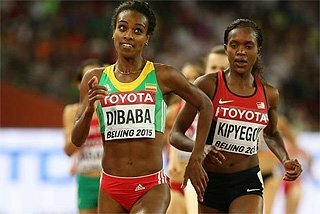 However, in Daegu, Ethiopia was missing a certain Tirunesh Dibaba due to injury. In 2012, Dibaba was back with a vengeance and displaying a kick in the last lap that appeared as devastating as in her top years of 2007 and 2008. Not even the reigning World champion Vivian Cheruiyot, also renowned for her finishing sprint, was able to mount any resistance when Dibaba forged ahead with the last lap approaching. A disappointed Cheruiyot even had to relinquish the silver medal to her team mate Sally Kipyego. In contrast to the 5000m, the Olympic final pace was of a high tempo all the way. Consequently, the Olympic results and the top 10 of the 2012 world list are almost identical, bar one name. It’s also worth noting that of the top 14 finishers in London, no less than 10 ran faster than they had ever done before. The only major international race apart from the Olympics was at the Eugene Diamond League meeting where Dibaba marked her return to the world stage by winning in 30:24.39. Just a couple of steps behind Dibaba was Kenya’s Florence Kiplagat who ran 30:24.85 for second place on the 2012 world list but who wasn’t selected for the Olympics after only finishing fourth in the Kenyan Olympic trials at altitude in Nairobi. Amazingly, considering the situation among the men and their countries’ prevalence over 5000m and 10000m, this is NOT a distance event completely dominated by Kenya and Ethiopia. Of these two nations, it is actually Ethiopia which has the best strength in depth with three women in the top six at the Olympic Games this summer and three in the top seven on the 2012 world list. By contrast, last year it was Kenya packing in their trio into the top five at the World Championships and into the top six on the 2011 world list. 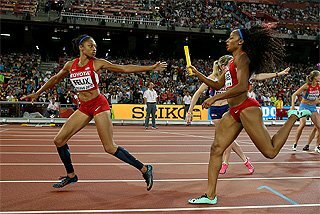 However, neither of these distance running powers have managed to come out on top at a global championship and in both Daegu and London, the gold went to Russia’s Yuliya Zaripova and the silver to Tunisia’s Habiba Ghribi. 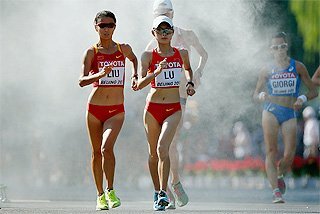 Zaripova copied the winning recipe of her compatriot Gulnara Galkina from four years earlier in Beijing and won her gold medal by running the race from the front. 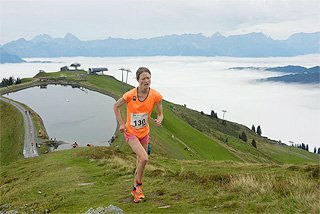 She set a good pace from the start and then really poured it on in the last kilometre in a way nobody else could sustain. Her kilometre splits were 3:06, 3:05 and then 2:55. Ghribi is a very different type of runner that is almost invisible for most of the race but has a strong last lap compared to nearly all the other the main contenders, apart from Zaripova. One key component in Zaripova’s arsenal is her hurdling ability. The others, and especially the Kenyans, are clearing the obstacles in various quite awkward ways while Zaripova just flows over them, scarcely breaking stride and maintaining her momentum. 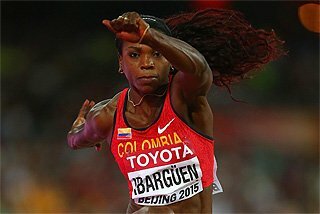 It is quite possible that the leading Kenyan, Milcah Chemos, is a slightly better runner without the barriers but her far-from-efficient hurdling technique is simply too costly for her to keep up with Zaripova over seven-and-a-half-laps. 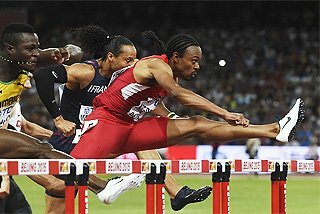 Just 13 days after the Olympic final, the top four in London met again at the Stockholm Diamond League meeting but it turned out to be another comfortable victory for the Russian, who made a serious attempt on Galkina’s World record of 8:58.81 which had been set in the 2008 Beijing final. However, Zaripova had no help from a pacemaker after the first kilometre so pace slipped slightly over the second kilometre. Nevertheless, despite a weary last lap, she finished strongly with a sub-3:00 last kilometre to improve her personal best to 9:05.02 and move up to second place on the all-time list with only Galkina having twice run faster than Zaripova’s Swedish outing. The question is: how long will the Russians be able to keep that grip on their leading position in the women’s steeplechase? In addition to the fast times, in the six global championships since the event was introduced onto the programme at the 2005 World Championships, Russia has never missed out on the podium and collected four golds, three silvers and one bronze medal: eight out of 18 possible medals. 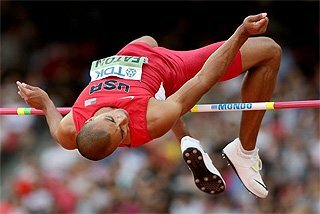 The Russian formula for success so far has generally been to convert good middle distance runners to the steeplechase between the ages 23 and 25. Whether that is a method that will continue to produce world-beating steeplechaser remains to be seen. With the event now firmly established, perhaps it is more likely that the stars of the future - just like for the men - will already be specialists as juniors. However, none of the medallists from the 2008 and 2010 World Juniors Championships - two Kenyans and one Ethiopian on both occasions - has so far managed to become a medal contender on the senior stage. Will any of the medallists from the 2012 World Junior Championships, the Kenyan pair of Daisy Jepkemei and Stella Ruto as well as Ethiopia’s Tejinesh Gebias, be able to change that pattern?